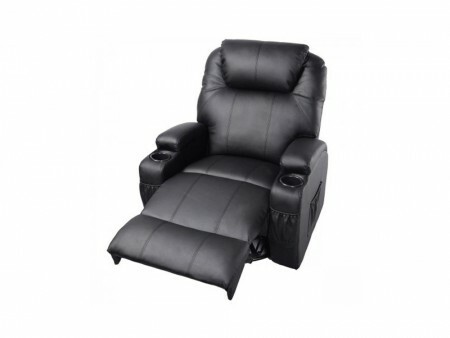 This power reclining chair provides you an ultimate stretch of your entire back, and effectively supports your total body weight; this recliner has an increased thickness of the sponge in the cushion, making it more soft and comfortable than the normal recliner. It's perfect for those who need extra assistance to safely rise from a chair. The weight capacity is more than 330 lbs. It includes a cup holder, chiller and light for night. It also has 3 levels of massage functionality inbuilt.